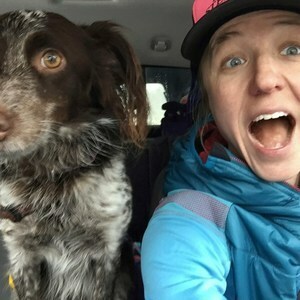 Sarah Keyes spent an evening in Rochester prior to departing for a cross-country road trip which will drop her at the Western States starting line. During our chat she shares tips for airport happiness, how to get A+ grades from your dentist and even a little about running fast in the mountains. For those that don't know Sarah. Sarah is fast. Sarah is also a Mountain runner, an ultra runner and a citizen of the United States. Combine those ingredients with a bit of hard work, add in some pizazz and you have the 2016 US Skyrunning VK and Ultra Division Champion. Twisted Branch Trail Run - a 100k Ultra on August 19, 2017 which runs the Bristol Hills Branch of the Finger Lakes trails starting in Ontario County Park and depositing runners on the shores of Keuka Lake in the town of Hammondsport, NY. New this year, a 20 hour cutoff. This impossible race just became… possible. No more excuses! Registration for the 2017 running of Twisted Branch is open! You know you want to run long this year. Get Twisted! Special Thanks to Medved for making this and so many other awesome events possible in our community. Go try on a pair of La Sportiva's at Medved. The Mutants are near indestructible!